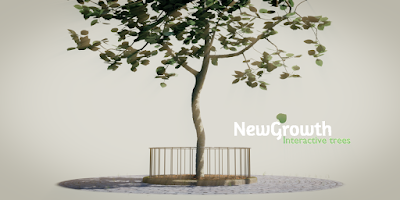 In this post we tabulate some of the parameters of Gabor noise as provided in Cycles'Open Shading Language. 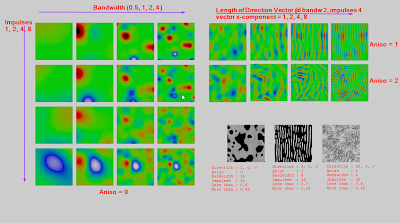 These modes are triggered by the values 0, 1 and 2 of the anisotropic parameter. In isotropic mode the direction parameter is ignored but in the other modes the length and direction of this vector determine the frequency and the direction of the anistropy. 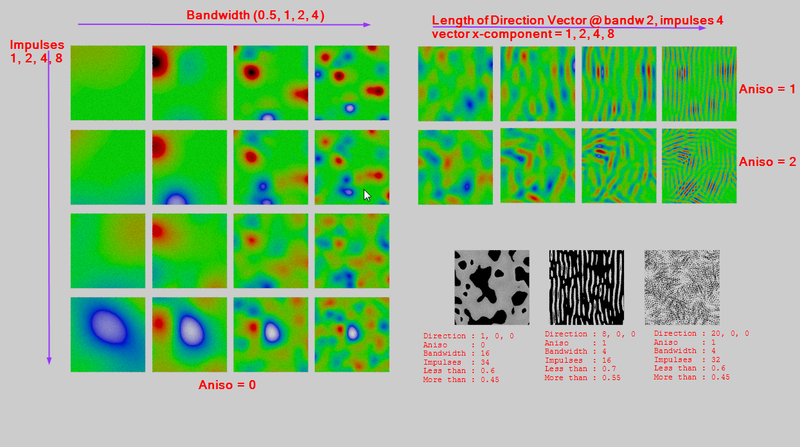 The impulses parameter determines the number of features (bumps) present per unit area, whereas the bandwidth parameter determines how much detail of these bumps is visible. Note that the add/divide nodes on the left to nothing more than map the [-1, 1] range to [0, 1]. The less than/ more than nodes in combination with the multiply node pass on a value if its between the two limits or zero otherwise.